You would think at that asking price, it would come with authentic Alpina rims! did he turbo it, or is that original? Maybe someone will correct me if I am wrong. That is always possible. That said, I have owned a number of Alpina cars including an E21 B6 and an E28 B9 (which are interesting connected - see below) and I am not familiar with an E21 turbo. B6 yes. Turbo, not that I know about. Maybe someone else will chime in. There was a pretty limited Alpina menu in those days. Alpina bought 528i's from BMW and then installed 3.5's into the E24 and E28 B9's. B10's (normally aspirated) and B7's (turbos). They used the left over 2.8 6 cyl mills in the E21 B6. Anyway, never heard of an Alpina E21 Turbo (E21 turbo yes, Alpina no). Maybe Frank Haas will chime in. He would know. 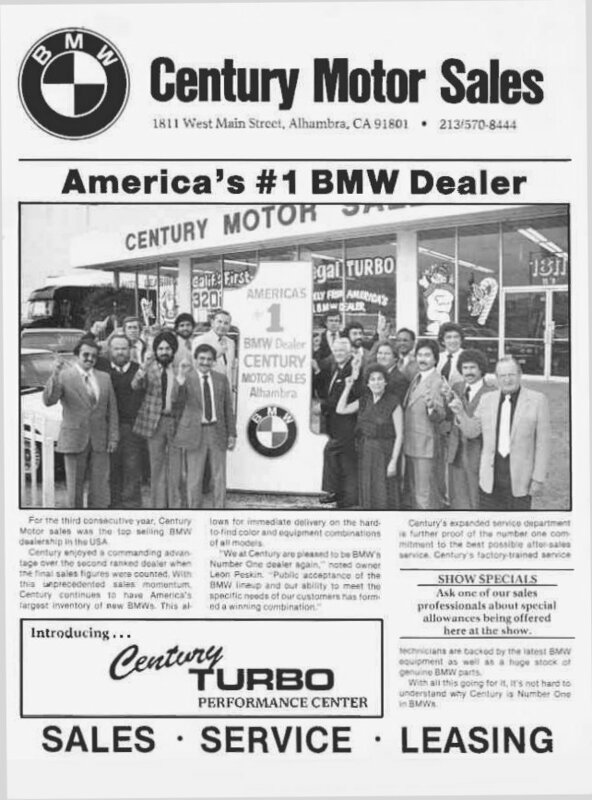 My guess might be that it was an Alpina E21 imported and taken to Century Motors to do a Turbo. Like BAUR conversions where they welcomed customer cars post dealer delivery for conversions. 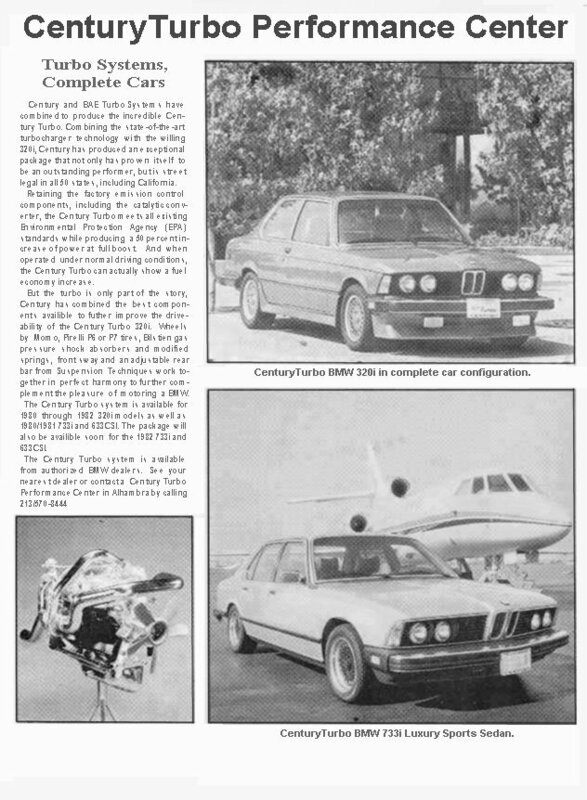 I believe Century offered a street turbo upgrade to the E21. I woudn't mind seeing an image of the engine, that will provide alot more information. Lots of dealers did the turbo kit. The thing that throws me is the vin plate. Alpina did not issue their own vins until late 85, but they did use id plates like the one shown in the pic. Could have been added, lifted, etc. Not easy to read, but that ID plate has (I think) a date of 01/1980 on it. At least they deleted the side markers and installed euro bumpers before trying to charge 12x what it is worth. Yeap. According to Real OEM, this a 1980 320i US car produced in Jan 1980.